Elsie Frankland Marriott wrote Bainbridge through Bifocals, originally published in 1941 and subsequently reissued in 1975. The book is a well researched account of the development of the island, starting with some of the known history of Native Americans and going forwards in time up to the 1930s. In her introduction to the 1975 reissue of the book Doris Van Kirk says "if the book's title suggests that is is in the nature of a personal memoir, it misleads. The author, a gifted reporter of the variegated way of life on the Island, was also an exacting and thorough researcher. She presents a clear account of the notable and vital events and people who shaped the foundations and the growth of Bainbridge Island and surrounding territory. The result is a synthesis of local history." 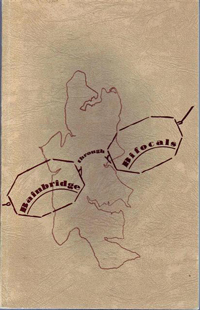 A copy of the 1975 reprint of Bainbridge through Bifocals is available in the local authors collection of the Bainbridge Public Library.